You can run, but you cannot hide. They will hunt you down, mercilessly, pitilessly, tirelessly. "They," of course, are the Annual Giving office at Princeton University. The very first letter we received at our new apartment here in Paris was from Princeton: a request for a donation to some department or other. 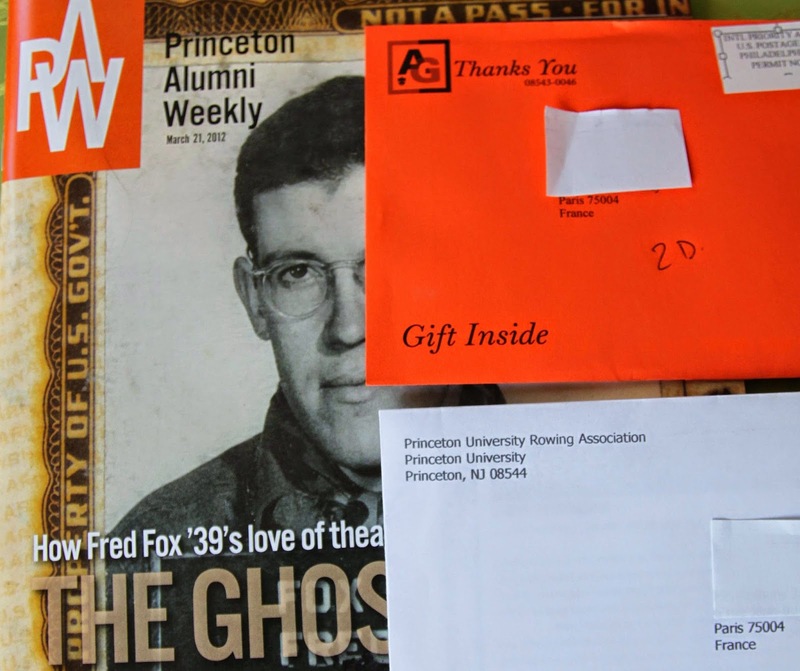 Today, we receive three pieces of mail from Princeton on the same day: a request for money from the rowing association (Anthony rowed his freshman year), a thank you card for having donated to Annual Giving (which we did online, to save paper, but then they mailed us a card anyway...), and the PAW (a.k.a the Princeton Alumni Weekly, a magazine which does not actually come out weekly, which you can choose to see as ironically humorous or moronically misnamed). When I lived in the Philippines, I spent about six months teaching scuba diving (I call it my ski bum phase, but I did it underwater) on a tiny island called Boracay. At that time, Boracay did not have regular electricity, and my housing did not have plumbing of any sort. I lived in a little cabin where I had to cross a sandy path beneath the palm trees in order to get to the outhouse I shared with a Filipino family, except that I couldn't go to the bathroom during wind storms for fear of a coconut falling on my head. That would be an embarrassing obituary: "Killed by a coconut on the way to pee." This was before the days of wide-spread internet and e-mail, and certainly cell phones, and my parents would not have been able to find where I was on a map if you paid them. So you can imagine my surprise when one day I was called off the beach to the dive shop because a phone call had come through from the States. I raced to the phone, imagining some health scare from one of my parents. Instead I heard a chipper voice saying, "Hello, Ms. Regelman? My name is Ashley, and I'm a senior here at Princeton University. We want to thank you for contributing regularly in the past and would like to know if you would donate to Annual Giving this year as well..."
As I am finishing the previous paragraph, I hear a ping telling me an e-mail has arrived in my inbox. It is, naturally, an e-mail from Princeton class of '89 telling me to check out my class website and also pay my class dues. Moments after (and I am not exaggerating this for effect), I see on my Facebook home page an invitation from the Princeton Alumni Association of France to a gathering in two weeks at an Irish pub in Paris. If I write this post much longer, I expect a knock on the door from a perky undergrad in a tiger-striped sweatshirt, armed with sleeping bag, tooth-brush, and point-of-sale credit card reader. Mostly, when you think of Gouda, you think of Holland, and with good reason. Gouda is a cheese of Dutch origin, named after the city in which it was originally traded. But up in northern France, close to the border of Belgium and, therefore, not too far from the Netherlands, they also make a mighty fine Gouda. In fact, I buy the smallest sliver possible -- as part of my campaign to eat 365 cheeses without going broke or growing enormous -- but once I taste it, I regret that immediately. 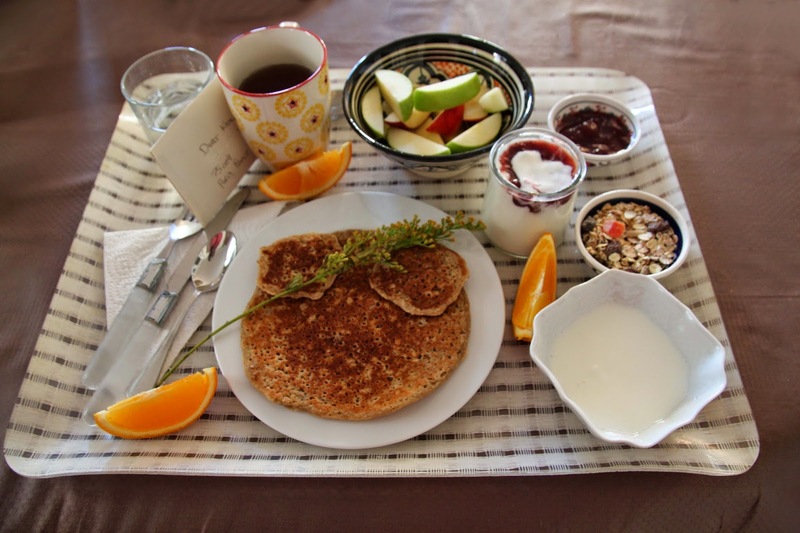 Part of it is that it make's a nice break from very French-style cheeses. It simply tastes different. It is so sweet and nutty. And though it crumbles and breaks, it turns creamy in the mouth. And when you're lucky enough to get a little crystalized dry part, like that white indent in the photo above, it tastes almost like a crunchy little candy. I wish I had a huge wheel of it! Well, I say that, but the wheels really are big. This aged, unpasteurized cow's milk cheese is coated with a very thick, dry crust -- one of the few that I wouldn't recommend eating. Though I love this cheese so desperately, I gnaw right up to the edge of it. It's aged at least half a year and can be aged over a year. Apparently, I'm not the only one that adores it. It's a bronze-medal winning cheese, judged from among 200 cheeses by 79 judges in Tours last year (June 2013). 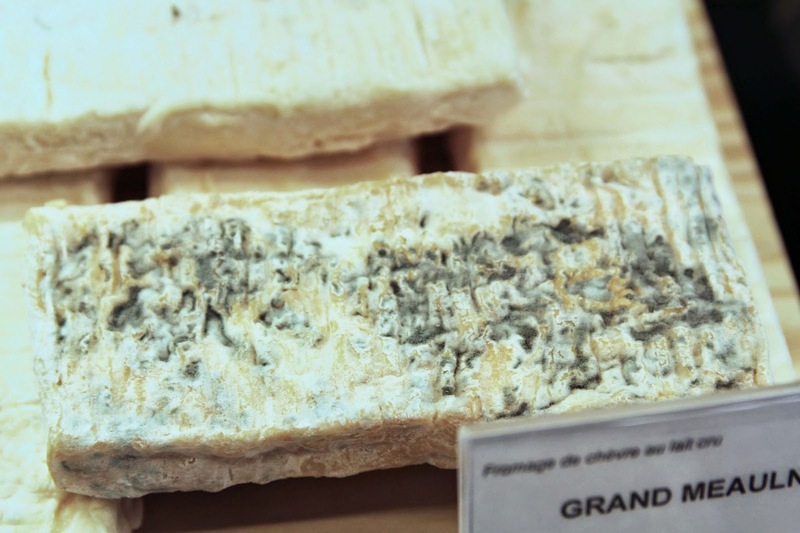 It is aged by Jean-François Dubois, from his new fromagerie La Finarde, which is housed in an old shed within the citadel walls. This seems appropriate for one of the oldest cheeses in the world; Gouda has been mentioned since as far back as the 12th century. If you live on the East Coast of the US, you may even find this cheese sold there. If not, the best substitute I can recommend there is something like Old Amsterdam, though this is, obviously, a Dutch Gouda. The Citadel, nicknamed "La belle inutile" ("The useless beauty") because it was never used, dates to the 17th century. The rather citadel-like Princeton was founded about 70 years later in the mid-18th century, but more to the point both the cheese and the school color are orange. I would've used Mimolette, which is even orange-er, but alas, I had already used it for my discussion on the politics of the school schedule here. Anyway, I'm not a huge fan of Mimolette and would rather use a cheese I really like -- one that's really gouda (ugh, pardon the pun) -- to pair with my lovely alma mater. While we're speaking about history, we can go even further back. Though Gouda is one of the oldest known cheeses, it's far from the first cheese. Cheese has long been dated back to about 2000 B.C., thanks to Egyptian wall paintings. But recently, as reported in Smithsonian Magazine, scientists from the University of Bristol, some Polish universities, and (wait for it...) Princeton have discovered traces of cheese in clay shards in Poland, carbon dated to around 5000 B.C. Today, though, cheese lovers have cause to celebrate: New evidence indicates that the invention of the utterly delicious and at times stinky product actually came thousands of years earlier. As described in a paper published today in Nature, chemical analysis of prehistoric pottery unearthed from sites in Poland shows that cheesemaking was invented way farther back than originally believed—roughly 7000 years ago. A team of researchers from the University of Bristol, Princeton and a group of Polish universities came to the finding by examining an unusual group of artifacts from the Polish sites: clay shards that were pierced with a series of small holes. Struck by their resemblance to in modern-day cheese strainers, they chemically tested the material around the holes, and were vindicated to find ancient traces of the kinds of lipids and fatty acids found in dairy products. These ceramics are attributed to what archaeologists call the Linear Pottery culture, and are dated to 5200 to 4900 BCE. Mei, my fellow gymnastics-mom and good friend and I like to champion here in Paris (and abroad) that ugliest but perhaps most delicious of desserts: the American cookie. The first year of gymnastics regionals, Gigi's team got 13th out of 13. The second year, when she came home with a 9th place, Anthony congratulated her enthusiastically...until she told him there had only been 9 teams. Well, much like this, I fancy myself quite a delicious cookie maker, but then I only have a couple really good non-French friends here, and the only other American's cookies I've tried are Mei's. And, objectively speaking, hers are better than mine. So there may only be two contestants, but I'm the Silver Medal Champion Cookie Maker of My Paris! And my cookies do whoop the pants off any chocolate chip cookies I've tried that were made by any French person. I have to admit the cookies I make here also whoop the pants off the cookies I make in San Francisco, and I've figured out the secret: I use all American ingredients except the butter. French butter contains less water and is generally richer and more unctuous, and the cookies benefit. If you're wondering why there are so many cookies on my counters, and why some of them are upside down, there's a logical explanation for both. Gigi likes me to make her cookies for her class for her birthday. She's in a class of 29 kids, plus a teacher, and I feel like everybody should have at least a couple cookies. So you do the math: that makes a whole lot of cookies, which I must mix by hand -- no KitchenAid stand mixer. It's better than a gym workout for the upper arms, except that I eat more calories worth of raw dough than I burn. And why upside down? Along with no stand mixer, I also don't have a cooling rack, and I've discovered that putting them bumpy side down allows them to cool without getting soggy, as the steam can find nooks and crannies through which to escape. Sure, I could buy chocolate chip cookies. There is a cute little shop on our island called "Anne's" which sells single, regular-sized (say, 3" diameter) cookies for 2.7€ -- or about $3.50 -- each. Meanwhile, I can go to Thanksgiving (the store in the nearby Marais neighborhood, not the holiday) and find critically important ingredients for not too much money, including real light brown sugar for under 4€ and baking soda for just a couple more. Still infinitely cheaper than buying at Anne's, where we would need to take out a second mortgage in order to buy a couple dozen cookies. The expensive ingredients are the real liquid vanilla and the chocolate chips, and I have cabinets full of both, thanks to a steady stream of visitors. French stores only sell sweetened chocolate, so I recently head to the Thanksgiving store for baker's chocolate with which to make American brownies for Gigi's birthday party only to discover that the imported bar of baker's chocolate is 8.5€ and the imported brownie mix is 7.5€. Easier and cheaper and headed for a crowd of ravenous children? Mix it is. I guess that's a flavor I haven't had much recently, because I don't remember mix brownies being that good, but we all certainly love them now. However, I refuse to make chocolate chip cookies for any of my visitors from the States. I only make them for other ex-pats who need a taste of home and for French-people who, I must tell you, are completely won over by this ugly-but-delicious American dessert. P.S. Speaking of won over: in this year's regionals, Gigi's team comes home with 3rd place out of 15 teams, which was a huge surprise and means they are qualified for nationals. So maybe there's hope for me still, and someday my cookies will test better than Mei's. In a region where the cow is queen, in the valley of Ecaillon in the Nord-Pas-de-Calais region, right on the Belgian border, farmers and cheesemakers Jean-Philippe Bourgois et France Bourgois decided to open a goat farm in 2008. There, their herd of 150 female goats and 5 bucks are spoiled with herbs, grasses, and five feedings per day of straw and alfalfa. Starting just in 2012, the farm started producing Ecaillon cheese and just one month later for it, won a gold medal at a contest. They've since branched out to other cheeses, including this two-toned domino, which is half-ashed, and half not. Domino is a thick, solid, sliceable, yet still creamy raw goat's milk cheese. It's eye-catching, with its half-black, half-white look that resembles a domino tile, hence the name. It's also taste-bud-catching, with a mellow but not boring flavor. It's the kind of cheese that really lends itself to a little fruit gel or honey on top, and the entire family loves it. Domino brand brown sugar, of course. It is the secret to American-tasting chocolate cookies (and to really delicious morning oatmeal) and is something that, in my mind, simply can't be replaced by French brown-ish sugars. By the way, if I had to make my choice for dessert between a great chocolate chip cookie (ideally warm, served with a cold glass of milk) or Domino cheese (ideally on great bread, with a dollop of honey), I genuinely don't know what would win. They're both just unbeatably delicious. When my daughters come home with a very rare 20/20 on a test or assignment, I think of it as 100%. And that's a fine comparison, but it stops there. Because when they come back with a 19/20, it is not the same as a 95%, and when they come back with a 10/20, it is not a 50% failing grade, either. You'll be forgiven for thinking that the Mother's Day photo I showed you is taken in front of Versailles. Actually, it's Vaux le Vicomte, and it's the château upon which Versailles is based. To some, it may be just another gorgeous castle (yawn). But once a year, on Journée Grand Siècle (Day of the Great Century), the owners encourage people to come in period costume, true to the 17th century castle. It's like stepping back in time -- in very tightly laced corsets and wigs. You see the ooze? The glisten? The crunch? Yeah, I see it, too -- a way to take an American classic, Frenchify it, use up cheese leftovers (what? leftovers?! ), and basically improve on perfection. I present to you the new Grilled Cheese sandwich. I explain to my American friend that the French would call her fraternal twins "false twins". She is alarmed. "Don't tell that to my boys! They certainly think they're real twins." And of course, they are, but just not in the French language. There are "vrais jumeaux" (literally "true twins", meaning identical) and "faux jumeaux" (literally "false twins"). Unless they're both girls, then they're called "vraies jumelles" and "fausses jumelles". It's Mother's Day in Paris, and the question is raised: Is it possible to be overappreciated? We have marked on our American calendar that Mother's Day is May 11, and so on that day, Anthony and the girls present me with a lovely plant, complete with a colorful little stuffed bird nestled among the leaves. The plant is intended for a pot that's been sitting empty, into which I once almost transplanted a lush-looking palm I found on the patio, till Anthony informed me it was fake. This should give you a clue about the level of my botanical expertise, so you may not be surprised to know that I do not get around to transplanting and watering this Mother's Day real plant until it is, sadly, too late. The good news it that it has dried rather nicely. Living not just in Paris, and not just in the center of Paris, but in the heart of the center of Paris, I often feel like I am living in a movie set. And, it turns out, I am. Instead of having to walk around dog turds, I often find myself sidestepping movie cameras and electric cables. One day we look out the window and are met by the unexpected sight of a horse-drawn carriage. We go out on the balcony to take photos and watch the filming, only to have one of the cameramen scream up to us, "Can you please go back inside? Your whole building is in the picture!" It's that magical, fleeting, ephemeral time: le Temps des Cerises -- which translates as the Time of Cherries, the Season of Cherries, and the Weather of Cherries. And, in this case, it's really all three. A few weeks ago, cherries started popping up at the market. Each week, they are getting riper and harder to resist. Sure, we have recently all learned -- newsflash! 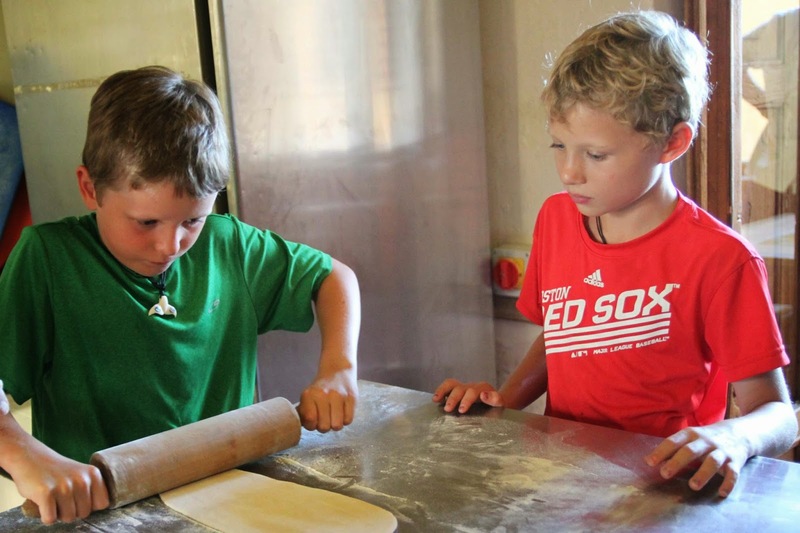 -- that bread baking and farming are both professions. Have been and will be for time immemorial. But there are a host of other professions that are all but disappeared. The French of course love their traditions, but with high national unemployment, even they cannot justify keeping around the lace-weavers and watermill carpenters. Set in 15th century Paris, Quasimodo is a hideous, deformed bellringer of Notre Dame. Both he (from afar) and the priest fall in love with the beautiful gypsy girl Esmerelda. Quasimodo wants her but does not feel worthy of her and, explaining why he won't enter Esmeralda's cell, says "The owl goes not into the nest of the lark." Esmerelda would rather die, literally, than be with the cruel priest, and when he makes her choose between himself and death, she chooses to be hanged. We learn that though the priest has the outward appearance of goodness, he is evil; and that Quasimodo, who is reviled for his ugliness, is a good person with a kind heart. Needless to say, it's way more complicated than this, with various of the main characters alternately tortured, imprisoned, in unrequited love, accused, prosecuted, persecuted, treating each other with both cruelty or small kindnesses for which they are punished, and just generally made to be unhappy. This takes about 600 pages, depending on your edition. "L'essentiel est invisible pour les yeux." ("The essential is invisible to the eye.") 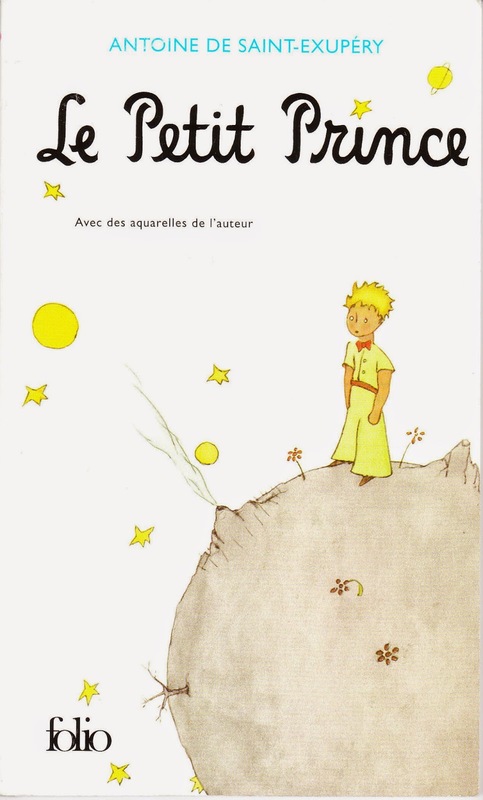 Antoine de Saint-Exupéry did not, contrary to everybody's belief, write this book in France. Rather, he was living in NY at the time, and wrote it on Long Island. Oh. My. Gawd. It's about a small boy in a Charles Lindbergh-ish plane who travels to various planets which are existentially French-weird in a child-like way. It is considered a children's book but is largely incomprehensible even to adults, many of whom are too pretentious to admit that. 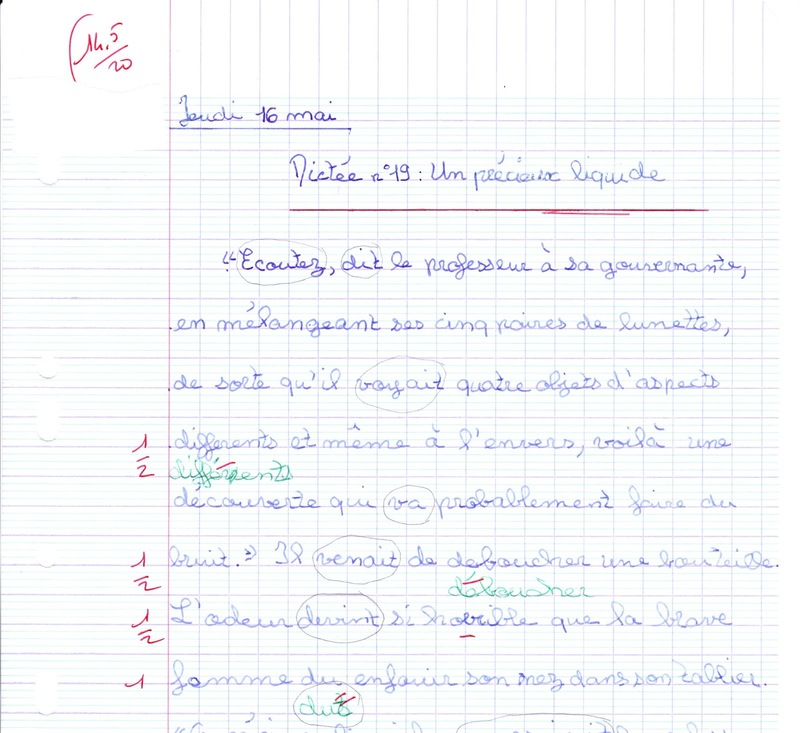 It is a law that every person in France and every French-language student must own a copy of this; if found without your copy, the penalty is that you will be exiled to a small planet on which only a single flower grows. This is the story of Jean Valjean, who spends 19 years in jail for stealing a loaf of bread when starving, and then the rest of his life either disguising his identity or being hunted by the overzealous Inspector Javert. They hunt each other, save each other, and with great guilt hunt each other again, all in the shadow of the French revolution. 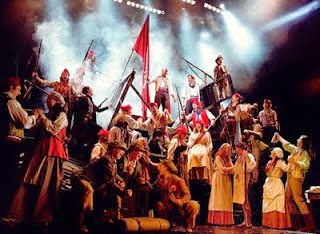 Meanwhile, a poor young mother Fantine dies, leaving her orphaned daughter Cosette who ends up growing up with Valjean. Marius is the young man who ends up in love with Cosette but fighting in the revolution. They end up together, but pretty much everybody else dies. They're all miserable, hence the name. But, as Hugo writes, “Even the darkest night will end and the sun will rise.” It's hard to imagine that somebody thought this would be great on a stage with singing and dancing, but it certainly makes a good musical. D'Artagnan is, for all accounts and purposes, the fourth musketeer and the protagonist of the story, but the actual three of the title are his friends, Athos, Porthos, and Aramis. 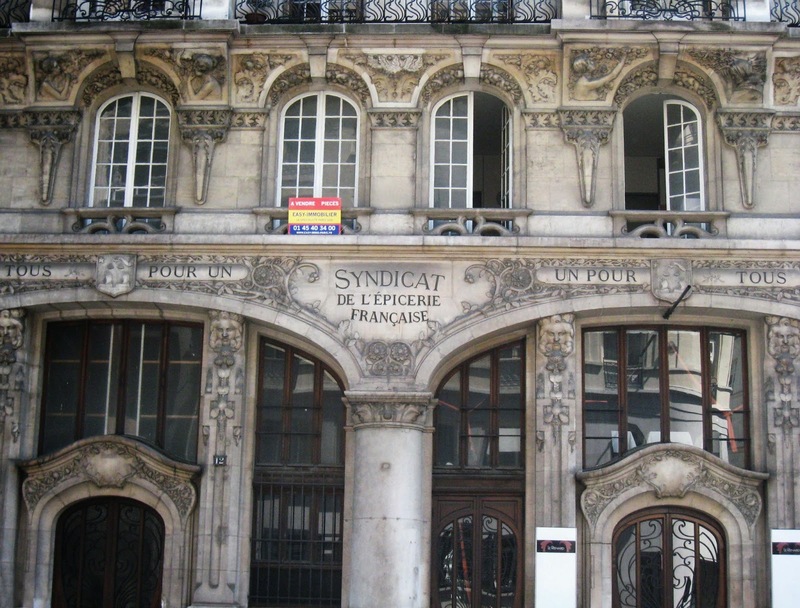 The Musketeers (swordsmen) belong to the Guarde Républicaine in the 17th century, whose Paris headquarters then -- and now -- is just around the corner from us. Clearly the most famous quote here is "tous pour un, un pour tous" or "all for one, and one for all." Evidently, the small grocer's union (Syndicat de l'Epicerie Francaise, on the building above) thought the slogan was a particularly good one, too. Three men frame the young, successful Dantès for treason as he carries a letter from Napoleon to sympathizers in Paris. On the day he would marry Mercedes, he is arrested. The kind judge is about to set him free when Dantès reveals he was to deliver the letter to the judge's father, so he instead gets sentenced to life in the Château d’If prison. There, Dantès befriends an Italian priest who tells him of a vast buried treasure on the island of Monte Cristo. When the priest dies, Dantès escapes by hiding in the burial shroud when it gets dumped in the sea and of course goes to find the treasure. Now rich, Dantès reinvents himself and exacts revenge, driving the three men who framed him into insanity, poverty, and disgrace. He also rescues a man's fiancée from an evil stepmother by giving her a pill to mimic death (very Romeo & Juliet) and hiding her on Monte Cristo. Her fiancé despairs for a month until Dantès reveals the truth, prompting one of the book's most famous quotes: "Only a man who has felt ultimate despair is capable of feeling ultimate bliss." Dantès himself ends up happily married -- but not to Mercedes. This is like the Catcher in the Rye of France in that nearly every French person remembers reading this as a young adult. Published in 1913, it doesn't seem to have made its way into the regular anglophone syllabus, which means you will sound even more erudite when you talk about it. The book is narrated by 15-year old François Seurel, whose boring life at school is shaken up by the arrival of the intriguing 17-year old Augustin Meaulnes. Meaulnes disappears for a while, finds a mysterious castle where he falls in love. After that, he spends his tortured life trying to refind the castle and recapture his love. It is a French story, so there is betrayal, destruction, death, and despair. Meaulnes does eventually refind his love, marry her, and get her pregnant, only to be obliged to leave her immediately, after which she has the child then dies. In the meantime, he is off seeking the woman who is his best friend's fiancée who he unwittingly bedded before his own marriage. It's a mess. And here are some starter quotes from Camus, Sartre, Baudelaire, de Beauvoir, Balzac and more. "A mother who is really a mother is never free." And another I find intriguing, but slightly depressing: "Equality may perhaps be a right, but no power on Earth can ever turn it into a fact." "I am capable of conceiving infinity, and yet I do not accept infinity." "You will never be happy if you continue to search for what happiness consists of. You will never live if you are looking for the meaning of life." I find this richly ironic coming from one of the most philosophical, meaning-of-life seeking writers in history. Also called the Biquet des Meaulnes, the Grand Meaulnes is a raw goat's milk cheese from the foot of the massif mountains of Sainte Baume. The goats roam free and gambol and graze at an altitude of 600m among the wild herbs of the scrubland -- thyme, rosemary. Not only is the milk subtly infused with these flavors, but the cheese itself is mixed with them. Sometimes, you can see the hints of the herbs trapped under the delicate white crust of the cheese. Other times, they make the reference more literal and place herbs on top. Either way, it's a creamy, soft goat cheese with a wonderfully fresh, clean, herbaceous quality. It's lovely, easy to eat, very spreadable and soft, and one of the first cheeses to disappear off the platter. It's also a very unusual farmhouse cheese to come across, made in small batches and sold only at the rare high-end cheese store. Why is this cheese named after one of the more famous books in France? Who knows. I could philosophize about it for 500 pages or so. Or not. But even without reading the tome, you'll sound super intelligent -- and somewhat pretentious -- when you talk about both this rare cheese and the book of the same name. Long ago in the 1800s, sailors would work their way up (down?) the Loire River, heading out to sea. In those days, fresh fruit was necessary for the long trip, yet impossible at the same time. 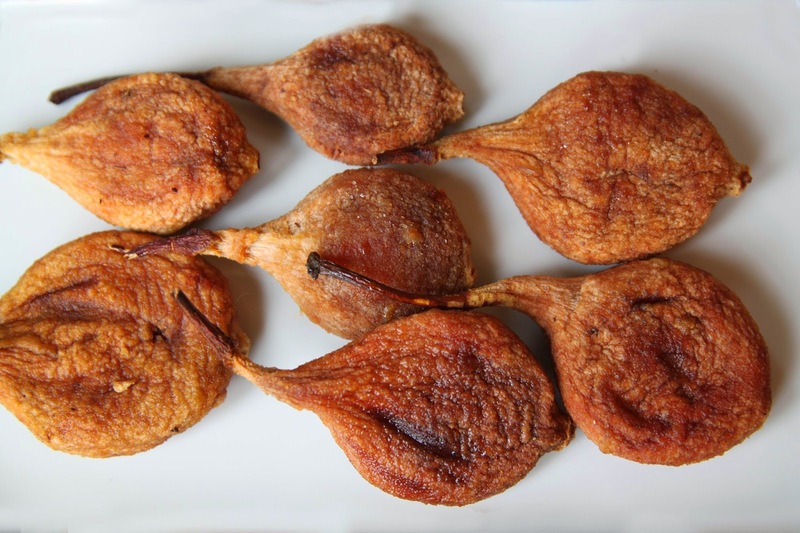 And so was born an industry in the tiny village of Rivarennes, in the Loire Valley: the poire tapée, or, as we might call it in English, the dried-out smashed pear. The girls have a casual, but growing, collection of coins from French national monuments. 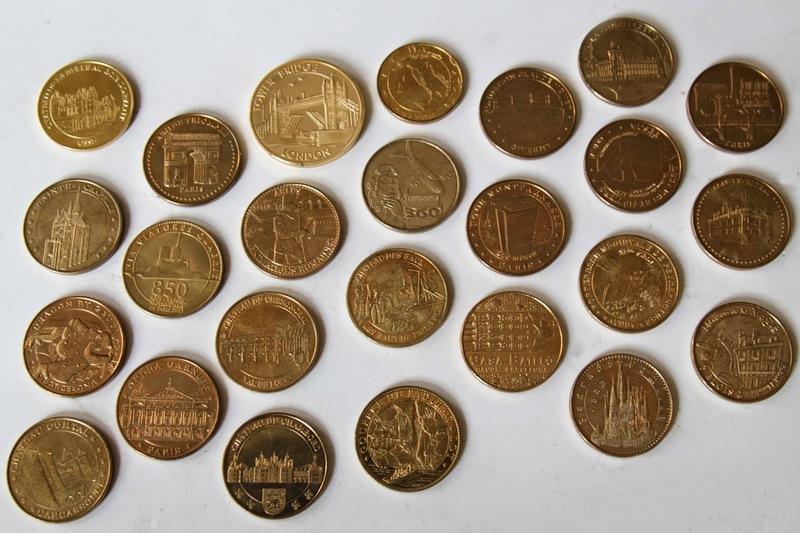 These are faux gold coins, souvenirs of monuments visited, usually sold in a machine at the exit of the tourist site and costing 2€. In our house, the Tooth Mouse likes to bring appropriate coins, along with whatever cold, hard cash he delivers -- generally a few euros. Thanks goodness the Tooth Mouse always seems to know where we've been but failed to buy souvenir coins, and he almost always provides the perfect coin at the perfect time, slipped in along with 3 regular euros. How fortunate that Gigi always seems to lose her teeth in amazing, monumental places. ...and on a hike in Italy. Yes, some of our monument coins are foreign. They're not exactly the same but similar. It seems to be a Western Europe thing. On our latest trip to the Loire Valley, she pulls out her own dangling tooth at the castle where we are staying. And, by pure coincidence, the Tooth Mouse had purchased a Chateau d'Ussé coin (in the center below) the day before without even realizing how handy it would be the following evening. In this series of before, during, and after photos, does anybody else like how the new gaping black square in her smile echoes the gaping black windows in the castle? These are little cow turds -- literally, that is. In fact, they are raw cow's milk cheeses named "cow turds" and, well, kind of shaped like them, too. Some would argue they smell like cow turds, but I wouldn't be among them, since I rather like the pungent stink of a moldy cheese. 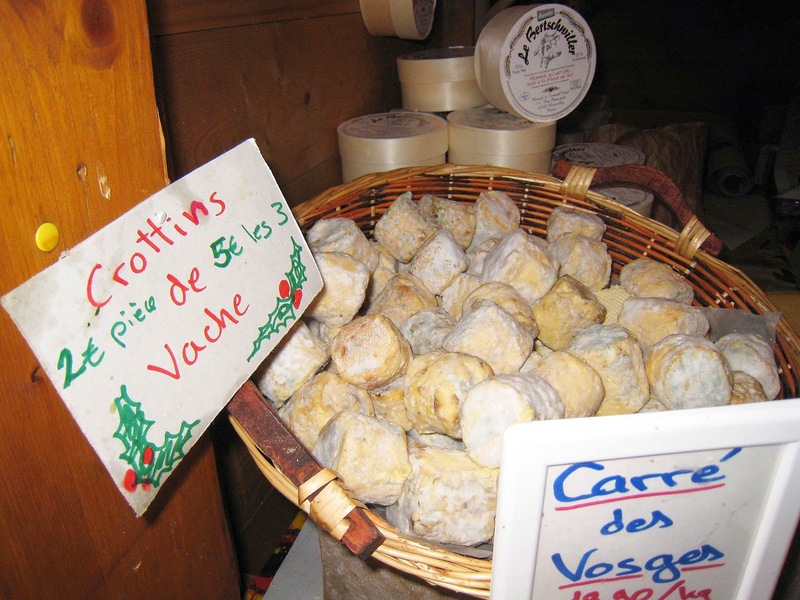 As they are made of raw cow's milk in Munster country (Alsace, that is), as opposed to goat's milk, however, they are rather stronger smelling and tasting than the similarly named and shaped Crottins Chavignol. They are hard enough to rattle around inside a basket and to slice through one, or bite directly: They are, after all, quite small. But once in the mouth, not only does the flavor really kick in, it also gets creamy and velvety. For just 2€, you can be the proud owner of small, round disk of cheese, or a small, round disk of a fake gold coin. But pray that the Tooth Fairy doesn't leave you a Crottin de Vache, because not only would it be very stinky under your pillow and mess up your sheets, but -- even worse -- the Tooth Mouse might come and eat your prize. Sometimes you meet new friends. Sometimes you explore new places. Sometimes you have new experiences. But it's pretty special when you get to do all three at the same time. We are invited by the friend of a friend (a person we'd never even met) to spend the weekend at her father's castle in the Loire Valley. And as magical and special as that sounds, the reality turns out to be even better. Among the castles, there's another gem: Leonardo Da Vinci's home. He died here in the Loire Valley in 1519, in the home in Amboise that was given to him by his patron, King Francis Ier. It was Francis Ier who brought Da Vinci (or Léonard De Vinci, as he is known here) to France from his native Italy, and I know this thanks to the factoid on the inside of a La Vache Qui Rit wrapper. When Francis Ier ascended the throne, France's royal palaces had just a few big paintings, and not a single sculpture. Swept along by the Renaissance, he was a devoted patron of the arts, and it was he who started the great royal collection, much of which is now on display at the Louvre. The Joconde -- that's Mona Lisa to you and me -- came over with Da Vinci himself when he crossed the Alps by mule at age 64, along with two other paintings: Saint Jean Baptiste and La Vierge, L'Enfant, et Sainte Anne. Francis Ier helped standardize the French language, earning him the nickname Père et Restaurateur des Lettres (the "Father and Restorer of Letters") and was also called le Grand Colas ("? "), le Roi-Chevalier (the "Knight-King"), and -- less flatteringly -- François au Grand Nez ("Francis of the Large Nose"). He gave De Vinci one of the castles where he had grown up, Clos Lucé. Meanwhile, he was living in the nearby Chateau d'Amboise and building Chambord, and asking Da Vinci along with other Italian artists to work on it. Da Vinci was named Premier Painter, Engineer, and Architect of the King. Legend has it that Francis Ier was so taken with Da Vinci that he thought of him as a surrogate father and even had a secret tunnel built between Amboise and Close Lucé (which has never been found). While in France, for three years until he died at Clos Lucé, Da Vinci did not paint but rather worked mostly on inventions, many of which have been realized (in small or large format) in the museum. For example, this paddle boat that Da Vinci designed in the 16th century, wouldn't work at the time, because they didn't have enough energy and the proper materials at their disposal. It is, however, the exact same principal used later for the paddle steamers of the 19th century. We don't even know what all his inventions were meant to be, but truly he was a man ahead of his time. Anthony is agog looking at all the advanced engineering involved in his designs. We have all agreed that Leonardo Da Vinci is probably the only person that you could take from his time period and bring to the 21st century who would not freak out by all the technology. Can you imagine? He'd be like a kid in a candy store. Speaking of which, our own children love the visit to this particular castle -- so much that we go on two separate days. It has quite a well-engineered playground, which the girls (and our resident twelve-year-old-boy-trapped-inside-a-man's-body) thoroughly enjoy. If you do find yourself at Clos Lucé -- and you should -- we highly recommend lunching at La Table du Moulin (The Table at the Windmill). It's a period lunch, with servers in costume and food choices that are derived from 16th century from 16th century menus. There are concessions, of course. The wine, for example, is weak and flavored with honey and spices. However, it is, at least, drinkable, whereas the waitress explains to us that since corked glass bottles had not yet been invented yet for wine storage, most wine that was drunk was simply vinegar. And if you had to drink vinegar, you too would doctor it up with honey and spices. This pyramid-shaped raw goat's milk cheese hails from Berry, the ancient region of France, now divided into many departments, mostly in the Loire Valley. This cheese can be eaten young, when it's flavor is mild and creamy, or more aged, at which point the flavor is nuttier, goatier, tangy-er, and with a little kick. One thing that's very interesting about a Pouligny is that it can come in white (covered with Geotricum, or Toad's Skin, mold) or blue (covered in Penicillium album). Not only is this cheese mellower when it's young, it's also mellower when it's white. The white version is lightly salty and goaty, with delicate fruit and flower hints, and a creamy texture that melts in the mouth. The blue, on the other hand, is much firmer with a strong goat flavor with strong hints of nuts. Cheese from nearby. And -- as cheeses go -- it seems very geometrically interesting and architectural to me, so I just feel like Da Vinci would approve. The shape looks rather like the roofline of the Clos-Lucé or the La Table du Moulin, in fact. So it seems to me that a Pouligny St. Pierre is the best possible candidate for the DaVinci Goat.